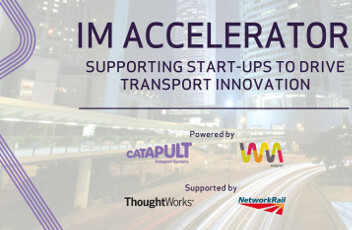 The Intelligent Mobility (IM) Accelerator is designed to attract disruptive start-ups with high-growth potential into the UK transport industry and help them grow into world-leading companies. The programme focuses on intelligent mobility, including areas such as connected and autonomous vehicles (CAV), connected infrastructure, customer experience and transport data and analysis. Its goal is to develop companies that will create solutions for pressing transport issues like congestion, overcrowding, emissions and road safety, while creating new UK-based industry leaders in a global transport systems market valued at £900bn. The programme is a partnership between the Transport Systems Catapult (TSC), the UK’s innovation centre for ‘Intelligent Mobility’, and Wayra UK, the start-up accelerator that is part of Telefónica Open Future. Paul Campion, CEO of the TSC, said: ‘Transport is currently going through a revolutionary period driven by digital, connected and autonomous technology. Up until now British entrepreneurs wanting to exploit these opportunities have needed to go it alone. We must support new UK businesses now, so we can take a lead on the world stage and create high-quality jobs and growth for our economy. Businesses accepted on the programme will get a six-month support package, providing office space, mentoring and networking. They will also get access to Wayra UK’s and the TSC’s networks of investors, government agencies, customers, large corporates and universities, as well as opportunities to work with the TSC’s data, visualisation, customer experience and CAV capability teams. Since 2012, Wayra UK has supported more than 160 British and Irish start-ups in other industries, helping them raise approximately £113m in third-party funding. Anyone interested in applying for a place at the IM Accelerator, or would like to help support the program should contact IMAccelerator@ts.catapult.org.uk.